Last time my nails were a bright green. I'm not the "I'll just paint my nails a nice red or pink" kind of gal. Anyway, I decided to fill my acrylics and spent some time at the polish rack pondering about the next generation of color. And then I spotted it...neon yellow. It's not your regular old sunshine yellow, although yellow is a bright color itself. Neon yellow is the kind of color that says "stare at me too long and you'll go blind." Oh how I love it! I'm glad it brings a touch of brightness, despite whatever clothes I'm wearing. What do you think? 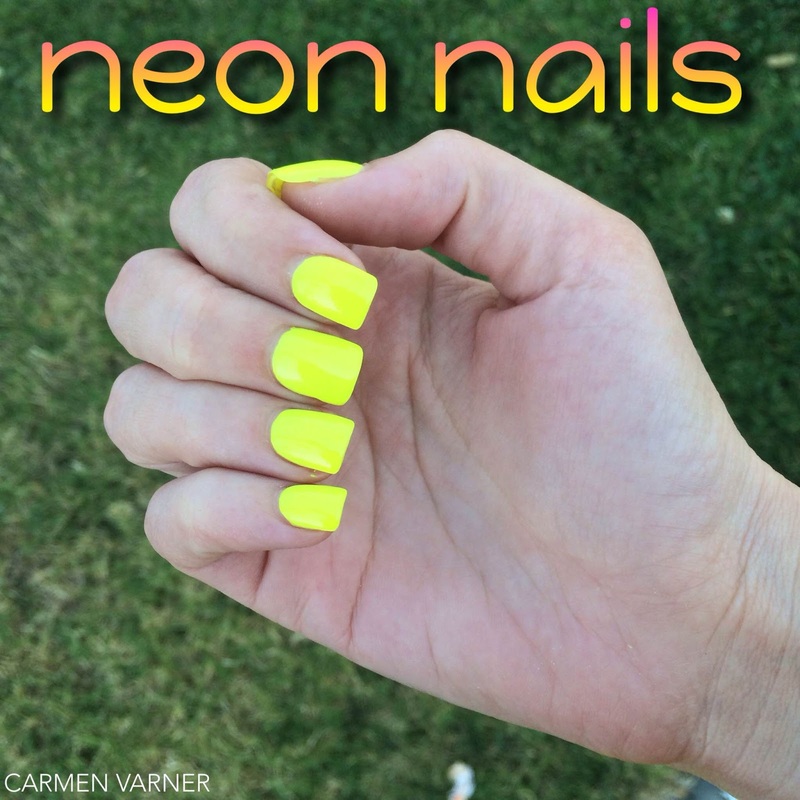 Would you rock neon yellow nails? Gorgeous nails! Love neon. Thanks for the visit. This looks so pretty Carmen! Great nail color! I'm kind of obsessed with the color yellow. It may be my favorite color, that and red. I just love how eye catching they are!! Nice nails! Those look like the perfect summer nails! I think i will paint my nails in a neon color as well! Beautiful! Can't go wrong with neon for the summer! I love your neon nails, are they falsies or is it polish?